Legendary Entertainment has released a poster for Guillermo del Toro’s Pacific Rim that features the armored Jaeger robots assembling to take on a Kaiju threat. Check it out below! 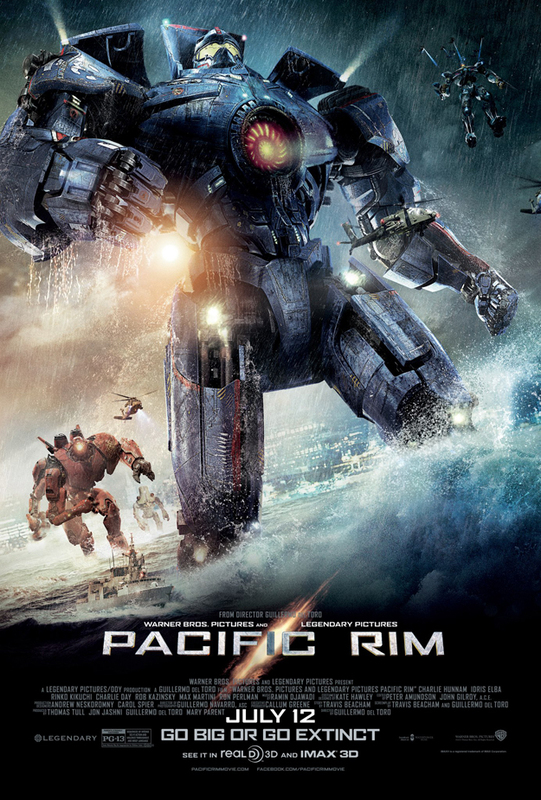 Opening in 3D, 2D and IMAX theaters on July 12, Pacific Rim stars Charlie Hunnam, Idris Elba, Rinko Kikuchi, Charlie Day, Ron Perlman, Robert Kazinsky, Max Martini, Clifton Collins, Jr., Burn Gorman, Larry Joe Campbell, Brad William Henke and Diego Klattenhoff.